Christmas is an occasional design which has been launched to give users the opportunity to make their website look good for this auspicious and memorable day. Every user wants to make their site look like they are celebrating Christmas, with Christmas Blogger Template on their site and they also provides discounts and offers. This is a free responsive blogger template which comes packed with SEO to gain more importance in the Search Engines all over the world. 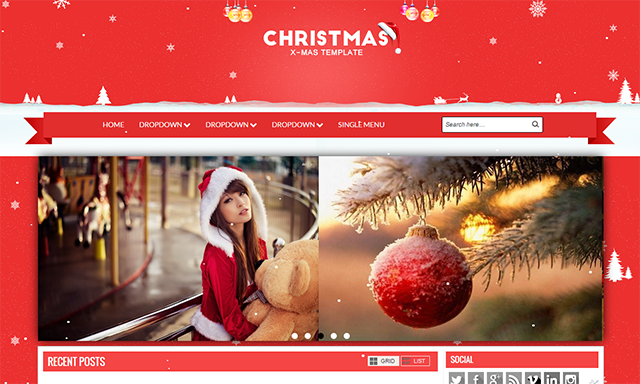 Christmas blogger template has a magazine design which helps users to showcase their items on the homepage fully. This blogger template has been made responsive blogger template to work on all the screen size devices available in the market all over the globe.